It happens so quickly yet the pain doesn’t always set in immediately. In fact, it might take months before you start to suffer the effects of the collision. 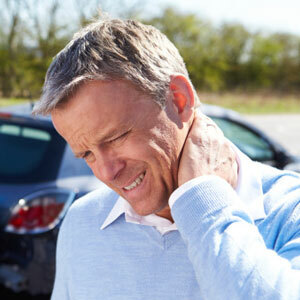 The team at Whole Family Chiropractors are highly experienced in auto accident care in Mueller, including treatment, documentation and follow-up. In addition to chiropractic care, we may recommend clinical manual therapy or physical rehabililtation exercises and stretching to speed your healing. There are many factors to consider when evaluating the extent of resulting injuries from an accident, such as speed, car size, position at the time of impact, whether restraints were worn and other variables that may affect the outcome of the collision. Our effective approach gives you the best in medical care with personal, prompt attention. Equally important to exceptional treatment is finding a chiropractor and office who fully understands the intricacies of navigating a complex medical-legal arena. Documentation standards are high and it is essential that the doctor’s notes appropriately reflect everything the legal system may be looking for. We at Whole Family Chiropractors are not just versed in the ins and outs of treatment and documentation, but we also advocate on your behalf with the attorneys when they need help understanding the medical portion of your case. The discomfort experienced after a crash is an indication that your body has been injured. If you ignore it, the pain may decrease but the damage will not necessarily heal correctly. Left untreated, many people face a lifetime of chronic pain. If you’ve been in an accident, we’ll thoroughly assess your body biomechanics to evaluate your injuries. If needed, we’ll make referrals to other practitioners. Contact us today to schedule your appointment with our all-female team! Insurance coverage is accepted.